Happy Easter Lily my friend!! Happy Easter to you too. Wishing you a lovely day. Happy Easter to you too! 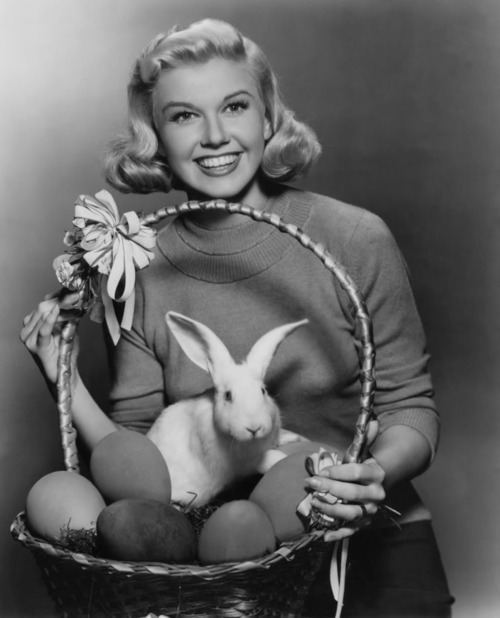 That is an adorable picture of the lovely Doris Day. Hope you had a Happy Easter, my friend! How gorgeous is this photo! Festive Easter! I love her charming smile and the natural charmer- the bunny. LOVE this picture of Doris Day!! !